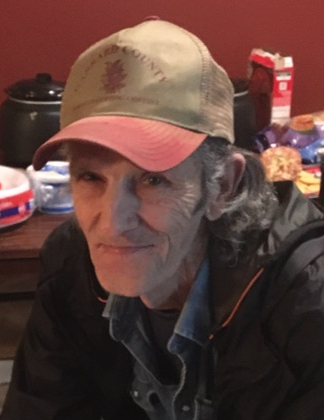 Ricky Vincent Broughton, 64, of Crab Orchard, KY passed away Friday, January 25, 2019 at Ephraim McDowell Regional Medical Center in Danville, KY. Born May 10, 1954 in Lancaster, KY to the late James Broughton and Evelyn Denny Broughton, he was the widower of the late Rita Miles Broughton. He worked as a farmer for most of his life and was a member of Paint Lick Church of God. Survivors include one son, Chad Broughton (Tabitha) of Stanford, KY; two daughters, Kayla Hunt (Ryan) of Lancaster, KY, and Shaina Broughton of Crab Orchard, KY; one brother, Jerry Broughton (Judy); four sisters, Audrey Helton (Dallas), Vallery Walls (Wayne), Rita Hinds (Joe), and Brenda Bryant (Maurice); five grandchildren; and several nieces and nephews. In addition to his parents and wife, he was preceded in death by one son, Justin Broughton; a daughter, Rachel Broughton; one brother, Michael Broughton; and a sister, Joyce Jordan. Visitation will be on Tuesday, January 29, 2019 from 4 to 7 p.m at Spurlin Funeral Home in Stanford, KY. Funeral service will be on Tuesday, January 29, 2019 at 7 p.m. at Spurlin Funeral Home in Stanford, KY with Bro. Mark Yocum officiating the service.